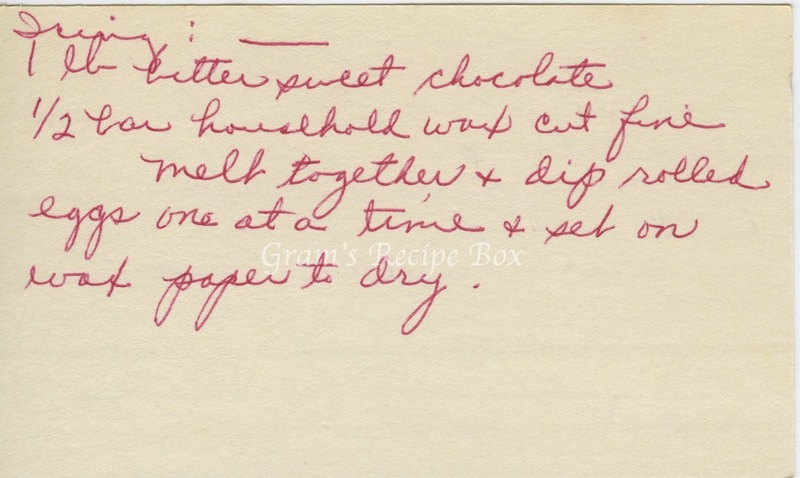 Continuing in the Easter traditions, here is a recipe for cherry flavored chocolate eggs. I remember the fancy ones we bought through school fundraisers and the like, they were pretty good, like an extra giant sized nougat from See’s. Many had a sugar paste flower on top. 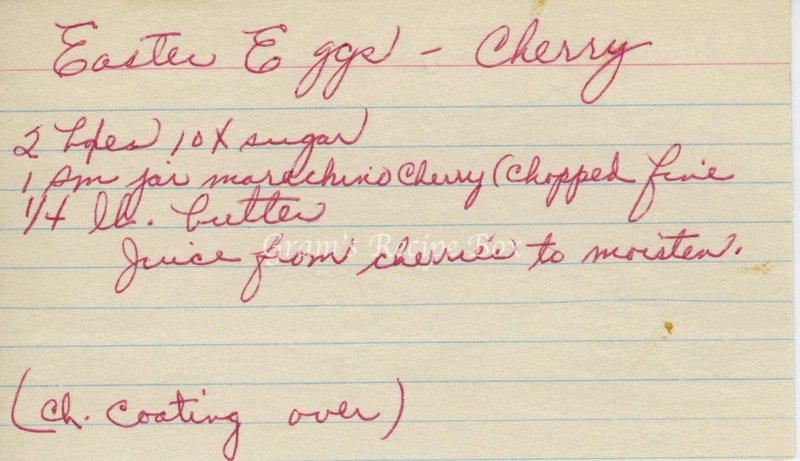 This particular recipe is for the cherry flavored eggs and the chocolate coating is included. I am still wrapping my brain around making these instead of buying them. I think much like a cake pop, it might be difficult to dip these egg shapes in the chocolate without having a huge mess. I hate messy projects, heh. You could try using a toothpick or a spoon, something to keep the eggs from drowning in the chocolate and the chocolate getting all over the place. Once they are finished you might want to wrap them in foil or plastic.